As accredited partners with Constant Contact, CDG can help you start an email campaign. We will advise you on building and growing your list and create help content for your emails. Clifton Design Group will create your first template and teach you how to create and send emails. If you prefer we will create an email marketing plan and manage it for you. Let us ease your work load. Over the years we found that Constant Contact is the easiest to use, they have better templates and their open rate is ahead of the pack. With an ongoing email campaign you can increase sales, donations or brand awareness. It’s the most cost effective tool for your marketing. Get more by doing less. 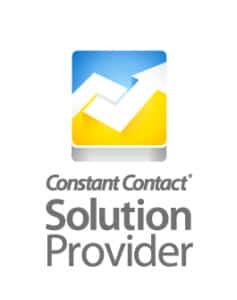 With over 600,000 customers, Constant Contact knows what works for your business. Email Marketing Services by Constant Contact® is the easy, effective, and highly affordable way to get your message out to your customers, clients, or members—and build strong, successful, and lasting relationships with them. You’ll create high-impact email newsletters and promotions in minutes, no technical expertise necessary. With more than 400 easily-customized templates, a simple point-and-click tool, and award-winning free customer support, you can create professional, compelling messages your audience will act on. And we make it easy for you to manage your contact lists, sign up website visitors, track your clicks and open rates, and send automated communications to new subscribers. Get started with Constant Contact Email Marketing today! Sign up for a FREE 60-Day Trial today. Explore Email Marketing with no risk. No obligation.